Photo: Fight for Hankinson's Ferry Marker next to another marker. 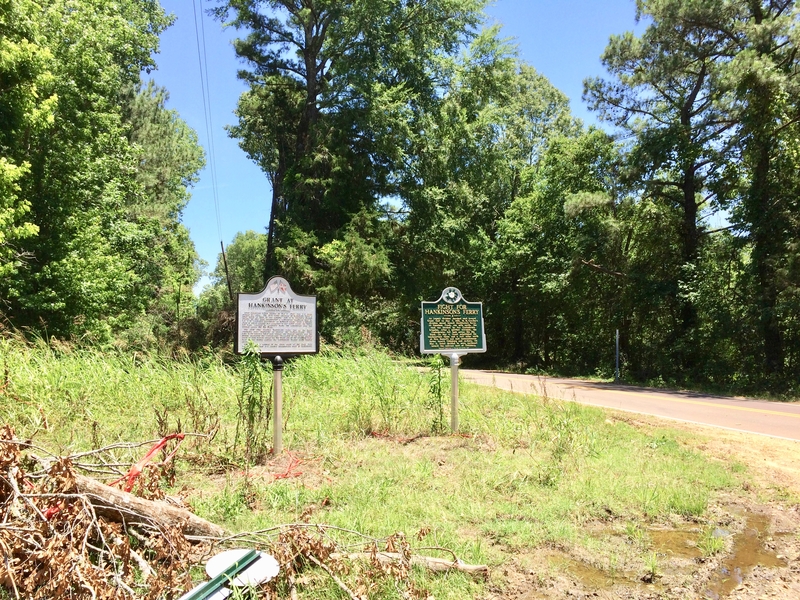 Caption: Fight for Hankinson's Ferry Marker next to another marker. Additional Description: Recent tornado damage was evident along the route.